Bananagrams is a word game where participants use letter tiles (similar to Scrabble) to spell and connect word sequences into huge crosswords. Bananagrams is a fun and engaging option for targeting cognitive-communication skills in an individual or group session. The idea is to use 144 letter tiles to form words that connect together like a crossword puzzle. Again, just think of Scrabble without the board game. It travels easily and requires little set-up/ and few instructions. Throw in a few distractions (background noise for selective attention, verbal short term memory or spaced retrieval tasks with a timer, additional activities to shift/alternate attention) to increase the challenge. Thank you so much! Sounds interesting – I will have to check it out! Great ideas!!! I am new to adult treatment could you post an example of your Tx note template for cognitive Tx and dysphagia Tx. Thanks!! 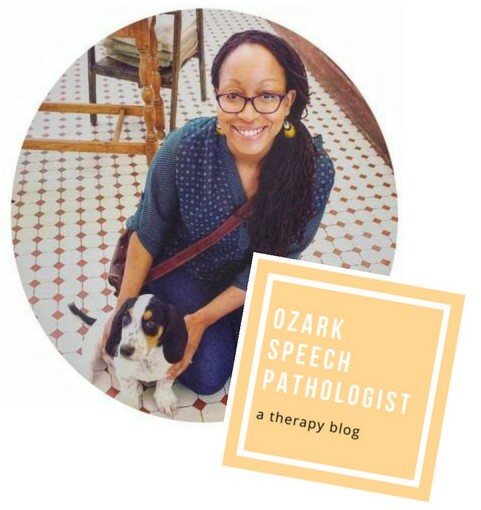 Mariela – I don’t really have a template of a daily therapy note for cognition or dysphagia – as these change depending on the patient’s goals. I usually just re-word the original short term goal and then add in the amount of assistance provided or % of accuracy. Your website is amazing…I keep coming back for new ideas. I currently have a pt who needs increased cognitive stimulation and social interaction (she is in an ALF), yet she is depressed and mostly lies in bed all day watching tv. How do you word a goal for increased social interaction so that it’s measurable and not rejected by Medicare? Pt has short-term memory deficit but is not motivated. I recently talked her into playing Scrabble with me and she seemed to enjoy it. How can I write a daily note for this…(I am also targeting attention). Increased social interaction would help her so much but I am not confident in building a goal around that. I’d appreciate any thoughts/help you can offer. Thank you!